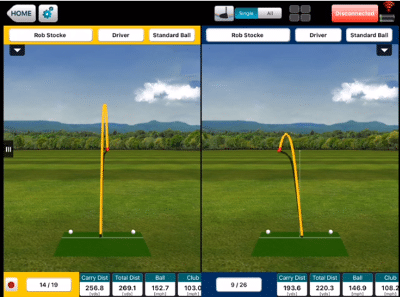 FlightScope Representative and 2015 GRAA Top 50 Growth of the Game Teaching Professional Rob Stocke gives golfers tips on how to maximize distance dramatically with a driver. As Rob explains, it’s crucial to hit the ball in the center of the face and swing up to have a positive angle of attack. Equally important is to be properly fitted on a driver. With these adjustments, Rob uses the FlightScope launch monitor to quantify the results and see how his student’s yardage significantly improves.